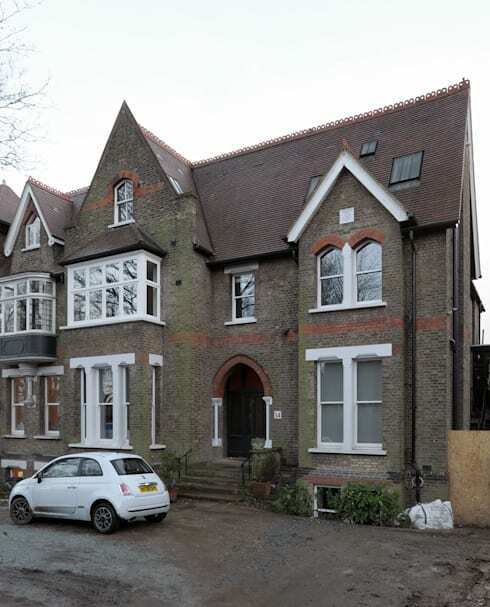 This home's mixture of industrial and Gothic elements is not for the faint of heart. It's dreamy in the sense that everything feels dramatic, off-balance, and odd. For those with an eccentric style and a penchant for surrealism this house might feel like home. For everyone else, the wildest part of this home will be its assortment of checker-board bathrooms in neon, mauve, and Winnie-the-Pooh! Whether you'll love or hate it, this rare design isn't one to miss! From the outside, this is a beautiful home, with Gothic accents that add just the right amount of drama. Now follow us inside to see how whimsy and quirkiness can combine with sleek industrial design. The dining hall in this home is made grand with the enormous ceilings and the reflective balls hanging down from them to amplify the space. The dining table is rich oak, and the chairs blend this deep wood with modern metallic supports. To the right, the reading space adds sophistication with a rich and intricate carpet and a soft red chair with a high back. On the left, the designer made space for the owner's favourite movie poster, which makes a big statement on the wall. Other elements in this room are more esoteric, with a small lamp on the wall that isn't needed, a tiny tree next to the reading spot that seems to be bearing tiny fruit, and a blocked-up fireplace that has been emphasized with dark trim. 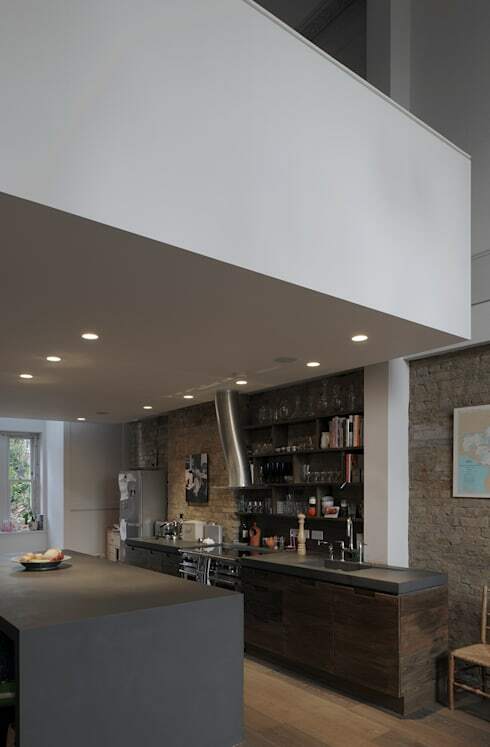 More familiar industrial elements make this kitchen dark and rich. Here the brick wall has been left exposed and a dark oak has been used for the cupboards. The metallic elements in the room, like the stove and it's exhaust fan, look distinctly industrial. The matte grey island adds a huge amount of food preparation space and completes the dark and brooding look. Modern pot-lights have been added to bring in some more light, and the white ceiling also adds a good deal of brightness to the space. Industrial kitchens are all the rage, find out why with the great examples here. Just when you thought you had a grasp on this home's style the loft overlooking the dining room introduces some unexpected floral designs. 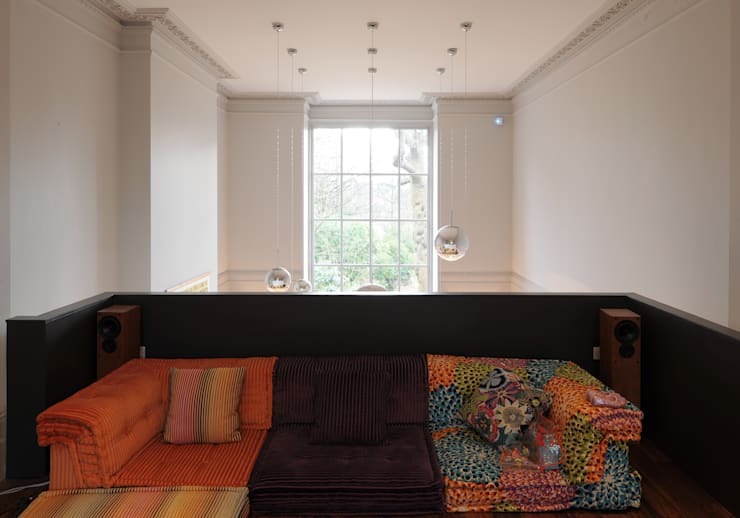 The couch has been made out of four different fabrics, three with wild orange styles. The only stable element of the couch is the texture of the fabric, an ultra-soft micro fiber that would be a joy to relax in. To keep this sitting space from being too overwhelming the balcony just behind it has been painted in a dark brown that matches the only nuetral in the couch. It's hard to believe that this calm and soft space is right across from the dramatic floral couch we just saw. It makes fantastic use of the marble and white fireplace, and adds in a soft throw rug to complete the comfortable style. This is a more common style for a living space, but don't get too relaxed, those wild bathrooms are up next! The pattern of the flooring here is the only stable element in each of these bathrooms. 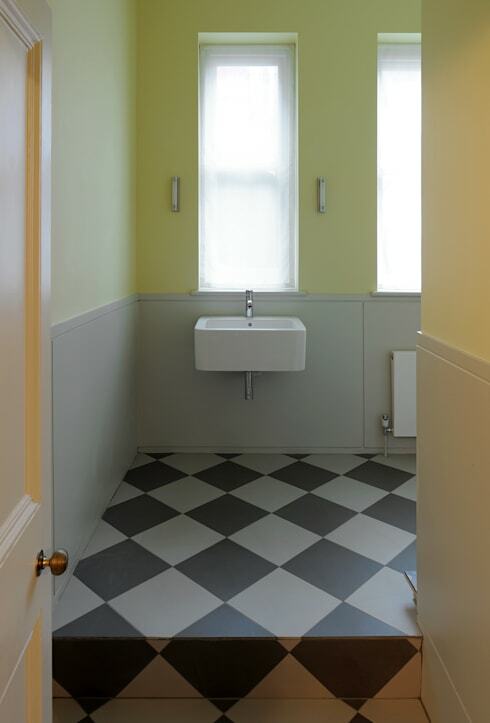 In this first one the neon green walls are the main attraction, adding light and colour to the gray beneath it. Instead of a mirror there is a frosted window above the sink. It brings in some light to the room but it might confuse guests. 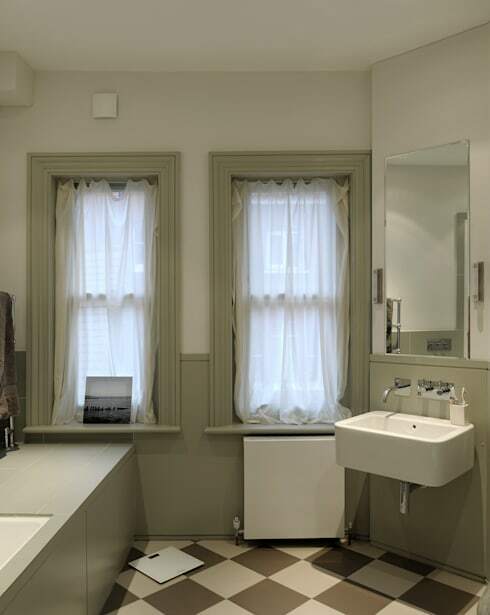 This bathroom is more elegant than the last, but it still has some unusual features. Every corner of the room is curved, which is generally avoided in most floor-plans to make the most of every available inch. The ceiling and flooring also appear to be lit from behind the dark mauve wall, creating a glowing look. 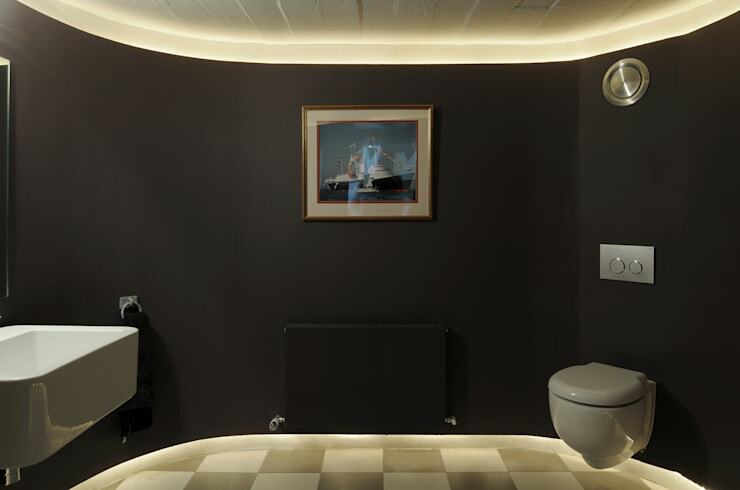 The toilet is exceptionally modern and looks comfortable and chic. Lastly, nautical themes are common in bathrooms and that painting of the ship might be the only familiar decor in the room. This bathroom is equally as surprising as the last, if only because it's so plain. The soft green is a lovely colour, the sink looks old but sturdy, and there seems to be some changing space for babies on the left. It's a soft bathroom that is a much needed break from the neon and odd lighting in the others. 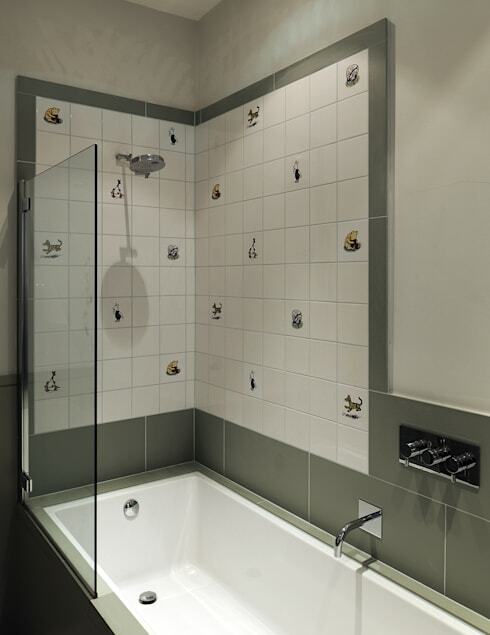 In this splendid contemporary bath the tiles are adorned with small pictures of Winnie-the-Pooh characters. It's an odd mixture between a childish theme and a reserved, adult, bathroom. The tub and its spout look luxurious, and the glass door is elegant and simple. 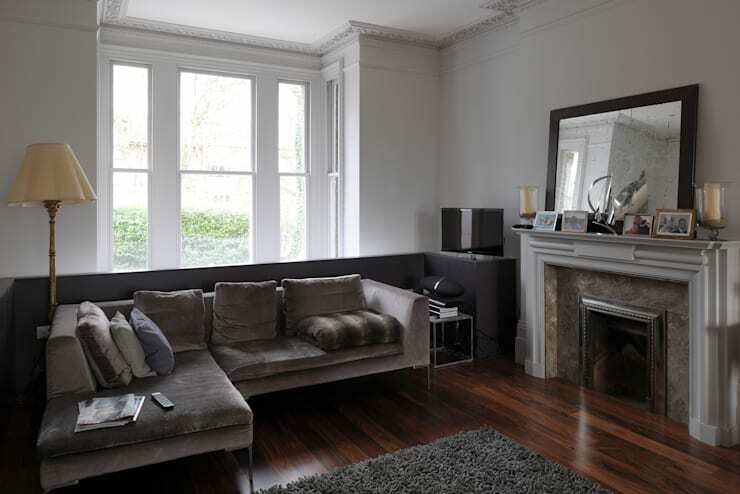 If this esoteric style isn't for you, consider this perfect family home with a classic design. On the other hand, if you're intrigued by odd homes you'll be inspired by this concrete chateau. Do you think the design works? What did you like about it?